The next few blog posts are going to tell you a little more about the different places you can find your favorite Small Batch Kitchen items. I'm going to start with a great local brewery - Round Guys Brewing Company - located at 324 West Main Street in Lansdale, PA. 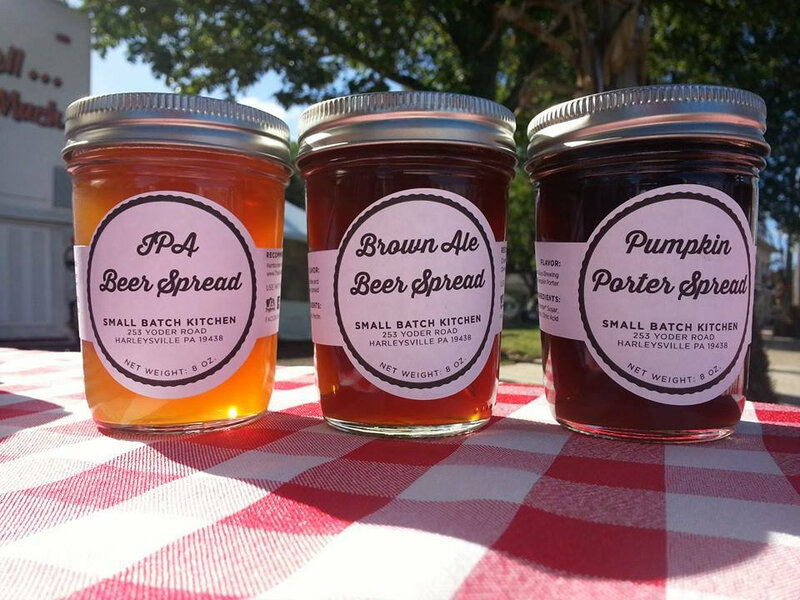 Many of the SBK beer spreads are made with Round Guys beer. The Pumpkin Porter, IPA, and many seasonal varities like the new favorites: Peanut Butter Stout and Passionfruit IPA. What's great about the SBK/Round Guys collaboration, is that they take our finished beer spreads and offer them on their menu! 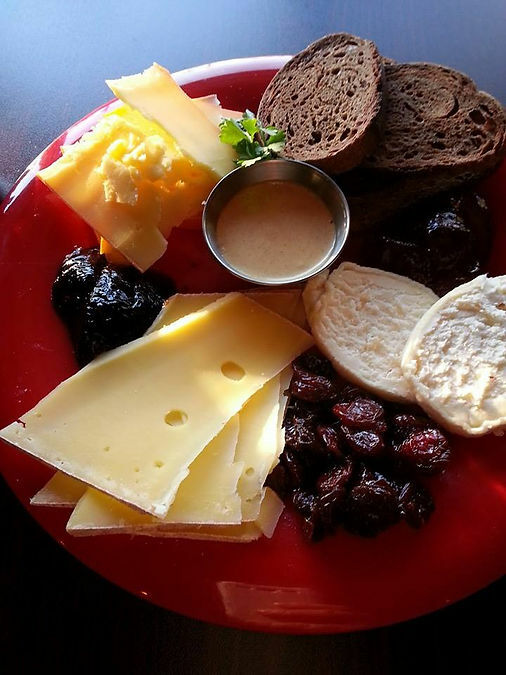 Right now, when you order the cheese plate, you'll find that the cheese (sourced from local cheesemaker Farm at Doe Run) is served with a few scoops of different flavored spreads. Everything I've ever tried off their menu has been great. We stopped by for brunch (offered on Sundays) and had french toast and their take on eggs benedict (with pulled pork and an IPA hollaindaise sauce) - both fantastic! Round Guys features their beer in almost all of the menu items, including the bread that was served with the cheese plate (made with spent grains) and all the desserts. 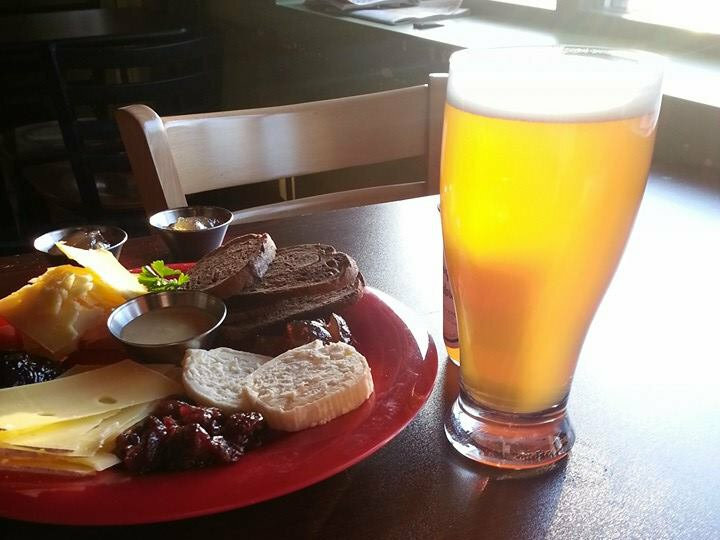 The tap selection is diverse - and, in addition to beer, they serve locally made mead, wine, and cider.